What is a Student’s Digital Portfolio? It is an online site dedicated to an individual student’s learning at MakersLoft. Students take pictures, record videos, draw or write to document their learning in each class and safely publish it. 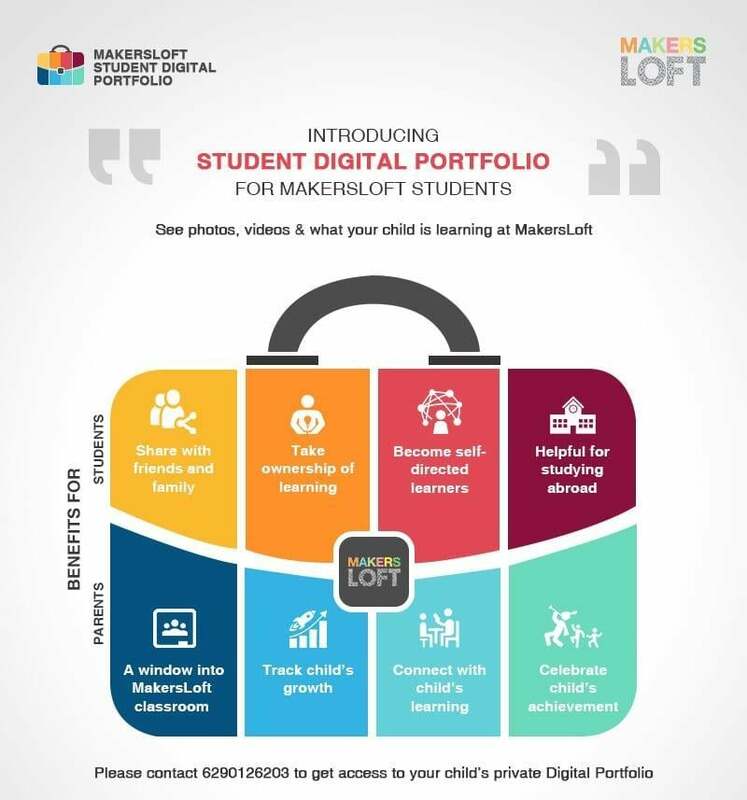 Each student at MakersLoft shall have an online portfolio, which only the student and his/her parents will have access to. If you choose to make your child’s portfolio public, so you can share with family and friends, you may send us a written request for the same. It empowers students to take ownership of their learning and to reflect on their progress over time. Students practice digital citizenship within a secure environment. The portfolio can be shared with admissions committee of schools and colleges for children who are applying to study abroad. Provide parents a window into the classroom. They can track and monitor their child’s growth over time. Creating a meaningful connection so parents can better support their child’s learning. © MakersLoft Pvt. Ltd. All rights reserved.